PHILIPSBURG — Amidst the news about the arrests of business associates of Member of Parliament, Theodore E. Heyliger, StMaartenNews.com explored the effect of these arrests on the family. We often lose sight of how these kinds of arrests have an effect on the mental state and morale of the other family members. In an invited conversation with StMaartenNews.com, MP Theo Heyliger chatted with us about the effects and toll these investigations are having on his family and on himself personally. Media coverage is unavoidable nowadays as SMN-News.com was the first to break the story while TBO officers were busy in the early morning hours of Tuesday, January 29, 2019, around 7:30am with a search at the office building of Heyliger’s family business in Pointe Blanche. The news quickly spread on internet and on to social media. Another news outlet even reported that two of Heyliger’s business associates were arrested that day. However, that news was a bit premature as only one company’s associate with the initials R.E. was arrested. Heyliger’s family member and business associate with the initials G.P. was only subsequently arrested the morning of the following day, Wednesday, January 30th, 2019. The news hit the other family members, especially his children, very hard. “I feel very bad for everyone’s family, not only mines.” says Theo Heyliger. Heyliger lamented the fact that the system is not only about the final verdict but the time that you are put under this mental anguish. “In St. Maarten you are guilty until you prove yourself innocent.” Heyliger stated. “Meanwhile they are destroying me mentally and I can’t help people.” the elected Member of Parliament and leader of the United Democrats UD party stated sadly. One political effect the ongoing investigations are having on the country is the crippling consequences for the economy of the island. “Nothing is happening in St. Maarten as everyone is afraid to make a decision.” Heyliger said. It is important to point out that MP Theodore Heyliger is the only politician to have consistently managed to win his seat in Parliament outright. This is a clear indication of the trust and the level of confidence the voters and the people of St. Maarten have in Heyliger as their chosen political leader. Heyliger lamented the fact that the government is controlled via the screening. “Democracy with strings.” Heyliger called it. 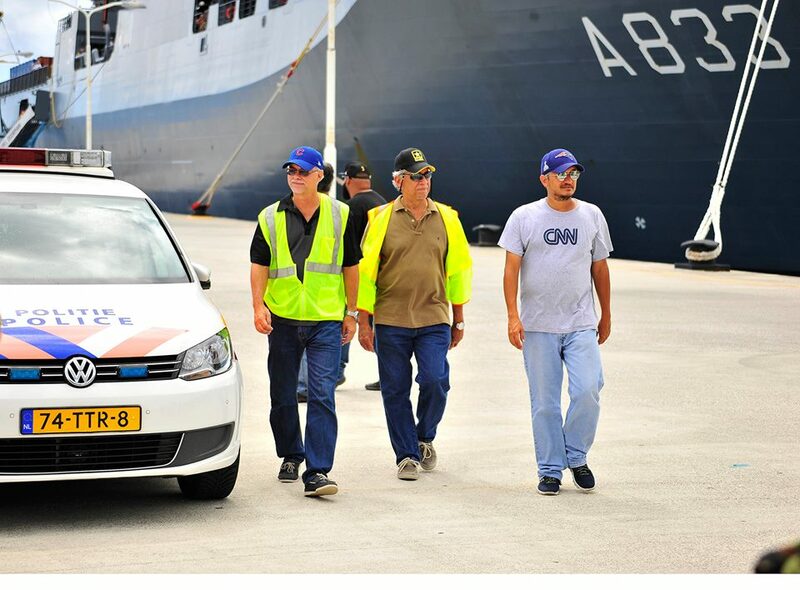 Photo caption: Theo Heyliger seen here in the above StMaartenNews.com file photo from October 1, 2017, with his business associates while visiting the supply ship Karel Doorman while it was in port at Pointe Blanche during the offloading of relief supplies and equipment brought in after hurricane Irma devastated the island in September 2017. 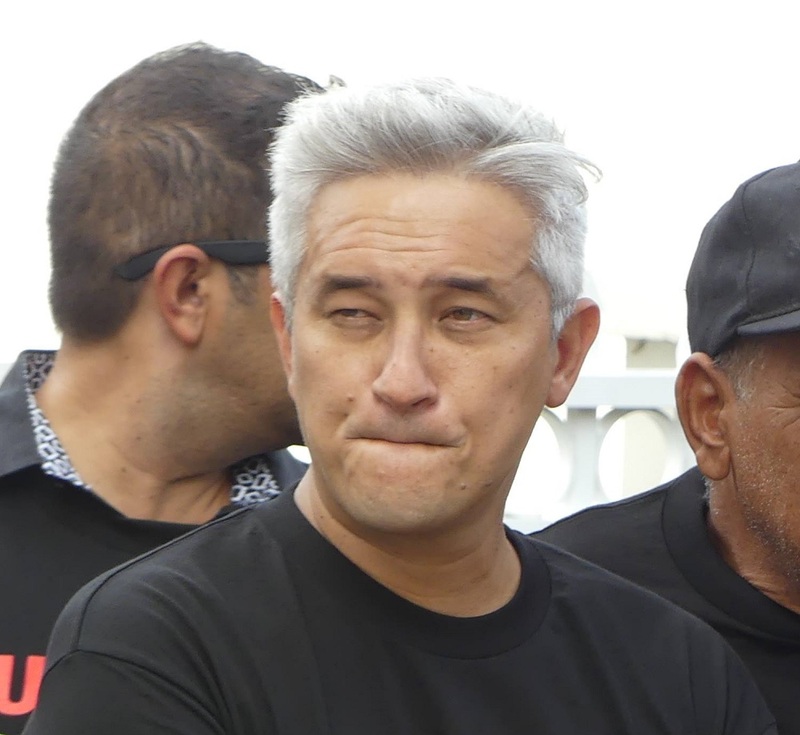 The second file photo shows Theo Heyliger while on the campaign trail in 2018 as he headed up the United Democrats UD party slate as its leader.